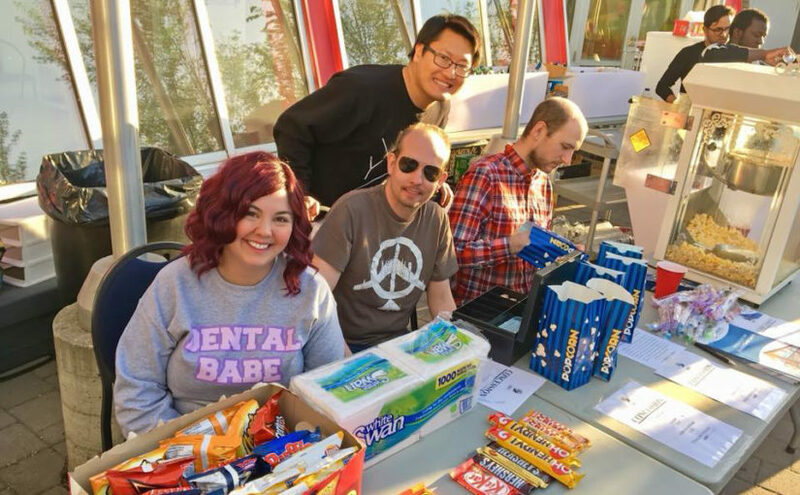 Last night, the Norwood Dental Centre team donated chocolate bars, twizzlers, toothbrushes, and dental floss to Spark! Youth Camp’s movie night fundraiser. We had a blast popping the corn and selling tasty treats to moviegoers! Our dental clinic loves the arts and the community, so supporting Spark! Is a natural fit. In addition to donating treats and our time to Spark!’s movie night fundraiser, we are also donating a $500 cheque to the camp.